Marlene Thomas joined the firm in 2007 as a staff accountant. Prior to joining BKF, she obtained 24 years experience with two other Chartered Accounting firms located in Chatham-Kent. She was born, raised and has lived her entire life in the Chatham-Kent. Marlene is responsible for preparation of financial statements, personal and corporate income tax returns, bookkeeping and all farm program filings. As well as the above duties, she also provides computer program installation and troubleshooting to our firm. With her vast experience and expertise in farm accounting, she is the “go to” person for farm related matters. She periodically takes courses to keep updated on farm related programs, accounting and issues related our rural community. 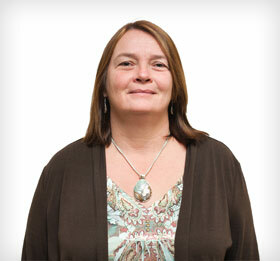 Marlene is an excellent source of support and knowledge for both our clients and staff.